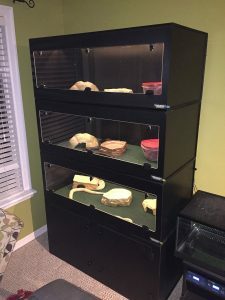 We’ve got our new enclosures mostly set up, and love ’em! 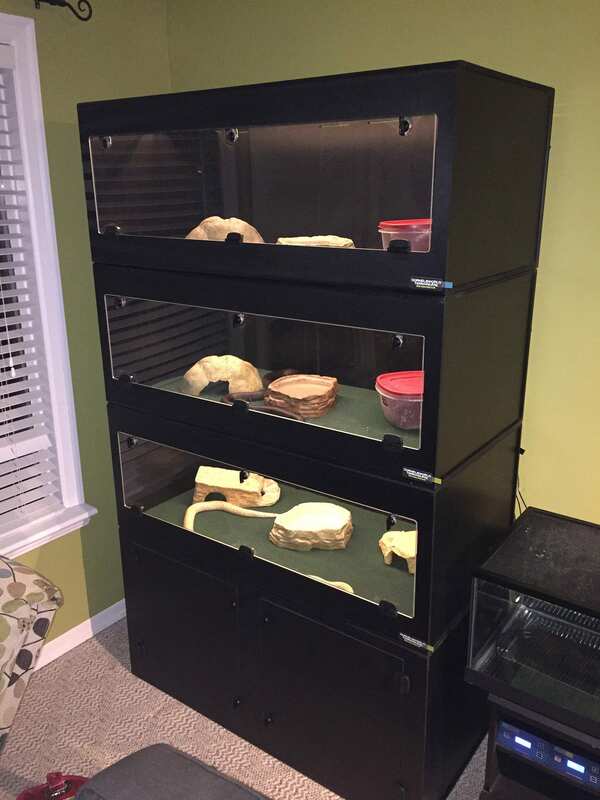 They really clean up the room and give excellent presentation for our snakes. 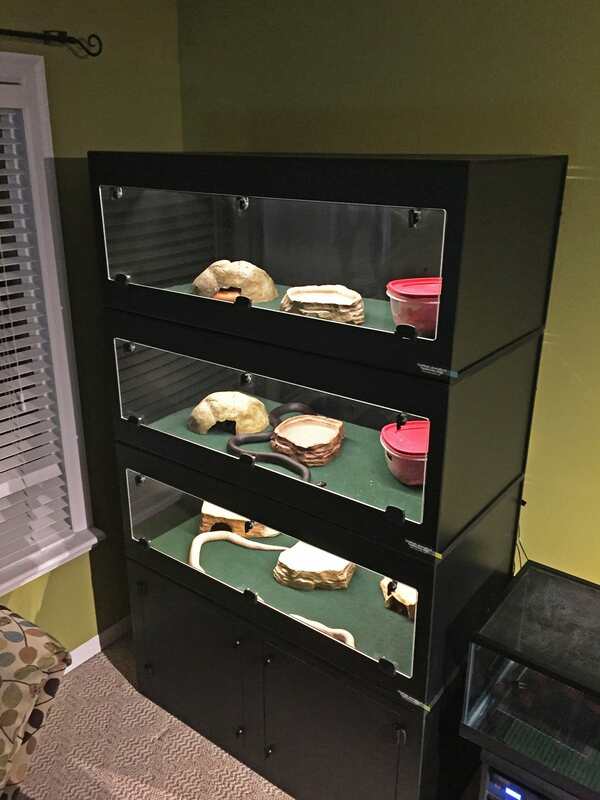 We feel we’re providing our pets with luxury homes now, instead of the run-of-the-mill glass enclosures. 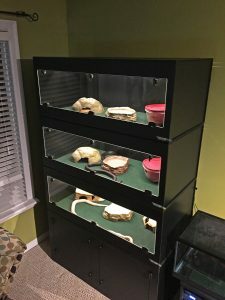 They’re a little spoiled now and we really couldn’t be happier with how they look, and how much more functional the enclosures are. I’ve attached a couple of pictures of them for you to use however you wish. Mel just sent me a photo of our new terrariums, and they look absolutely fantastic!! I can’t wait to get home and get these bad boys set up. Thanks again for everything. It’s been great dealing with you and hopefully I’ll be ordering more from you in the future. I’ll definitely send you photos when we’ve got it set up, and I’ll be sure to recommend you to friends. One in particular needs new housing for her 100+ geckos when she moves.